At David Stanley Dodge you can find stock of all the newest vehicles. The opportunity to aid folks in the Harrah area to get the car they want and deserve is what we're here for. Harrah is a city located in Oklahoma County, Oklahoma and is part of the Oklahoma City metropolitan area. For convenience, Harrah is located 25 miles east of downtown Oklahoma City and 22 miles west of Shawnee. Part of the city of Harrah is located in the Great Plains and is very close to the geographical center of the 48 contiguous states. It has been nicknamed the "Heart of the Heartland"! Harrah lies in the area dubbed Tornado Valley because there is a lot of recurrent interaction of cold and warm air which produces severe weather. Oklahoma sees around 54 tornadoes each year! The state of Oklahoma is located in a temperate region and has occasional temperature extremes and precipitation of a continental climate. Our online site hosts our inventory of brand new and used vehicles for anyone in the Harrah area to search at their convenience. Whether it's for a large or small family, or just for yourself, we're sure to have something on hand that can suit your particular needs. Are you searching Oklahoma for a used vehicle? With our variety you won't need to look anywhere else. With an extensive selection of affordable, high-quality vehicles, we are certain that we can find a used car that suits your tastes. People deserve to be able to afford a vehicle that supports them, and David Stanley Dodge is ready to assist. With friendly qualified experts on hand to help you, we at David Stanley Dodge can get you a loan that works without the hassle. When we receive the application, we'll look it over and one of our friendly staff will contact you as soon as possible. 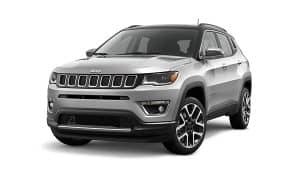 If you have got a problem with your Chrsyler Dodge Jeep RAM vehicle, then bring it by and let our knowledgeable service personnel diagnose and solve the problem. All the parts and resources you need to keep your Chrsyler Dodge Jeep RAM vehicle maintained can also be bought at David Stanley Dodge's repair center. Schedule a service appointment today.